This punch is used for the 2.5mm pins on yugo gas blocks and front sights. We designed these punches for demilling parts kits in our shop and use them daily. These can be bought as a set or individually. The problem with buying regular punches is that you have to cut them down to make a starter punch to get the 2mm pins to start moving. Once they start then punching them out the rest of the way with a longer punch usually is the easier part. 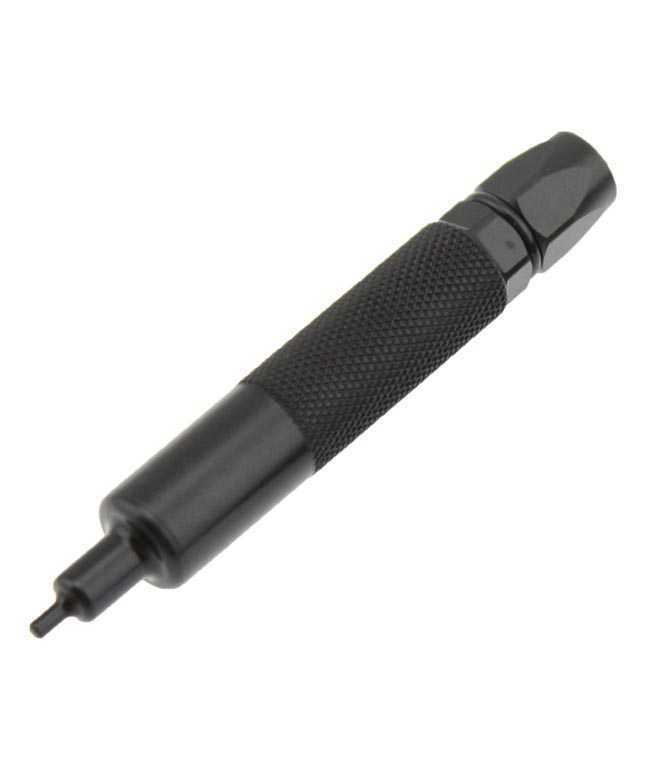 The punches have a hex head with an o-ring so you can use a 7/16" wrench to hold the punch without having to worry about hitting yourself when trying to get the pin started to move. The punches are made of tool steel and heat treated then black oxided. Be sure to wear eye protection when using any punch.